Description: Georgia Portable Buildings is a business categorized under automotive dealers nec, which is part of the larger category automotive dealers nec. 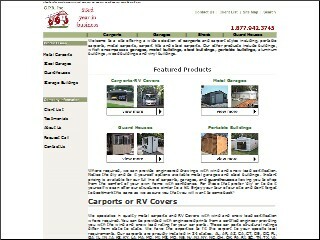 Georgia Portable Buildings is located at the address 3857 Bankhead Hwy in Douglasville, Georgia 30134-4310. The President is David Morris who can be contacted at (770)942-6367. Location & access map for "Georgia Portable Buildings"